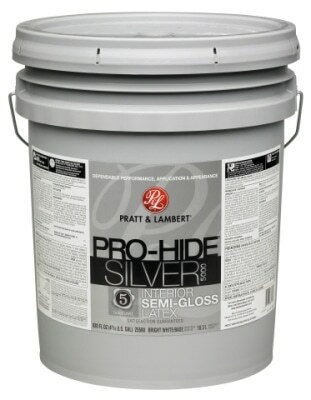 Pratt & Lambert® Paints, an industry leader in innovative and quality paint products for the professional painter, is proud to announce the launch of Pro-Hide® Silver 5000. This product offers painting contractors a professional quality paint with good hide and excellent touch-up in a variety of packaged colors and tintable bases. Pro-Hide Silver 5000 is designed to be used on interior drywall, wood, cured plaster, masonry, metal and previously painted surfaces. Ideal for property maintenance, commercial repaints and areas that are painted frequently, this easy-to-apply product provides long-lasting and beautiful results for all painting projects. Pro-Hide Silver 5000 aligns with MPI Gloss Levels 1, 2 and 5 and is available in tintable bases and the following packaged colors: ProWhite, Linen White, China White, Bone White, Dover White, and Antique White.